This 16" Under Seat Rolling Tote Luggage is super lightweight and expands your packing possibilities. 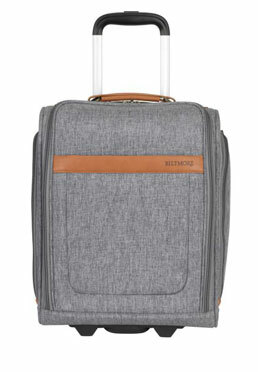 It withstands the abuse delivered by the airlines while the reinforced corners, aluminum handles and vegan leather trim all create an attractive and well crafted finished product that anyone would enjoy to use on their next big trip. It fits under most airline seats in case overhead bins are full.